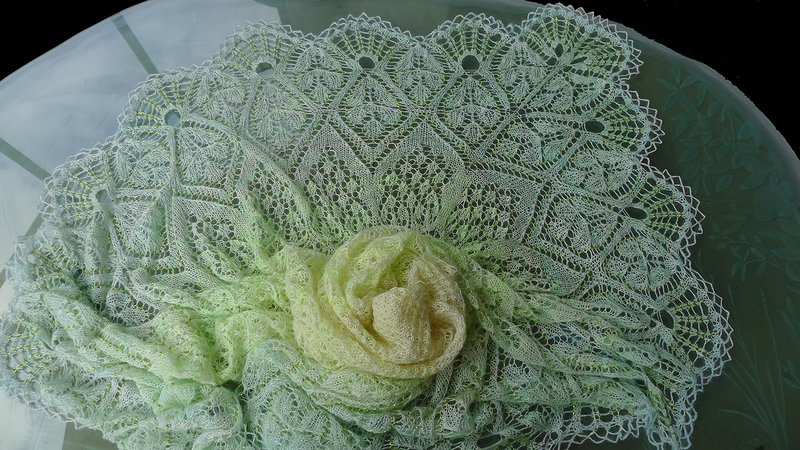 I think your shawl (station wagon cover) is gorgeous! I can imagine you snugly wrapped up like a cocoon while bracing yourself against a strong wind. That is really amazing, and lovely. I can't imagine sticking with it through all those challenges, so you get extra points! Holy cow! It's stunning and ginormous and I love it! I love your modifications on this pattern. I have issues with knitting the same thing over and over so I completely understand. This is beautiful! Please, please show us a shot with it on so I can see how big it turned out. 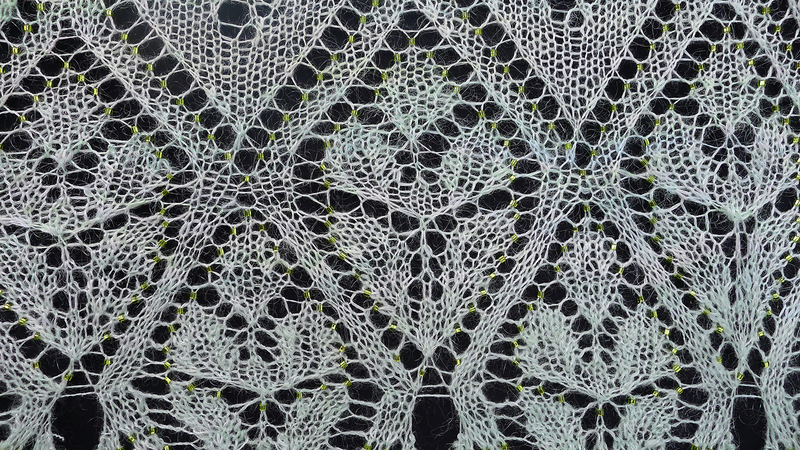 Two of my favourite shawls in one! And the border i wonderful! Really beautiful! Holy Merlin, this is a piece of art! Thank you for explaining how you made it, it is inspirational. I truelly enjoyed your tale of a shawl! You could perhaps hang it as a curtain in front of a window? I think it's really lovely! Stunning. And huge. I love the color gradient. Amazing work, as always!!! That is absolutely gorgeous. Also mind-boggling. Congratulations! That is amazing. Love the beads on it. 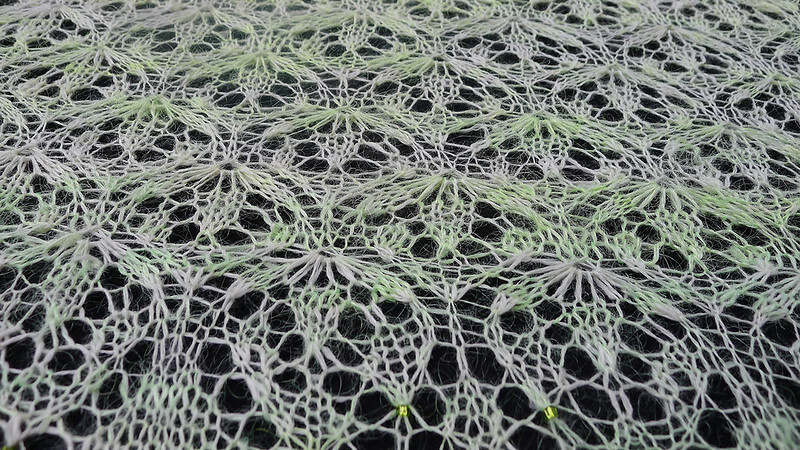 Beautiful, beautiful shawl. Your perseverance is an inspiration as well. 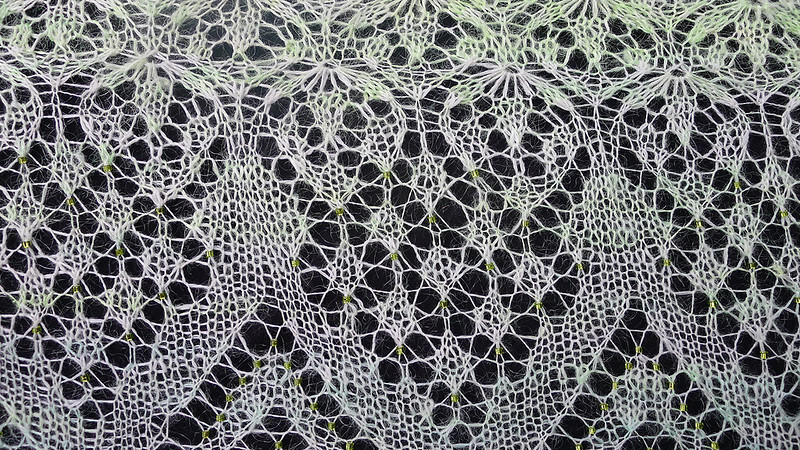 I don't know what it is I like most, the stitch patterns, the beads the edge, the yarn. It is amazingly beautiful! 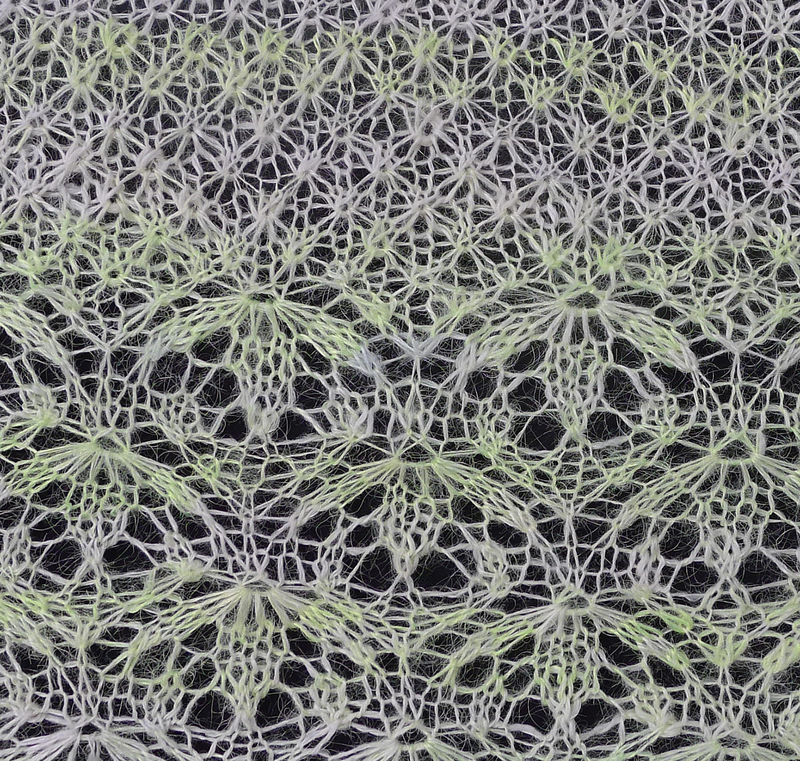 This shawl is a work of art! How did you block something that large? 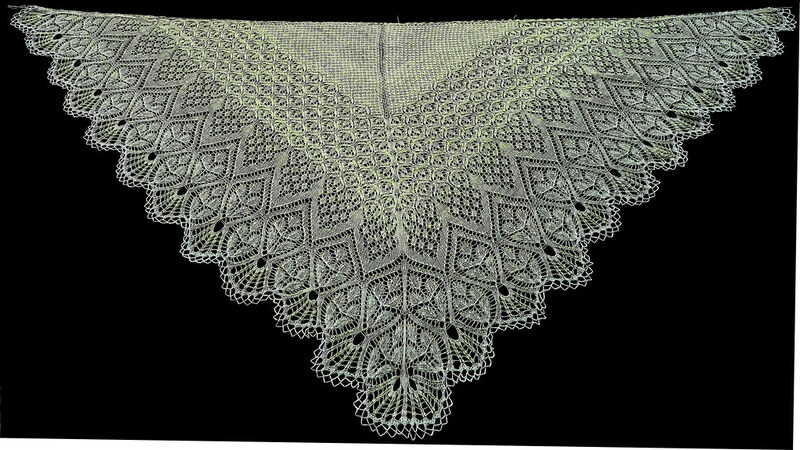 That is one beautiful shawl. Congratulations. This is so pretty! And is even more beautiful as you made your own design patterns. Amazing, I don't know that I would have the patience with size 2 needles!